“One of the things that has been a challenge is there are a ton of different file formats. There wasn’t really a format optimized for deliver an AR experience. We wanted to create something like the PDF of AR. With the file format to build around, the industry can become more than just collection of apps. Curriculum companies can now begin to create experiences to go along with state curriculum. 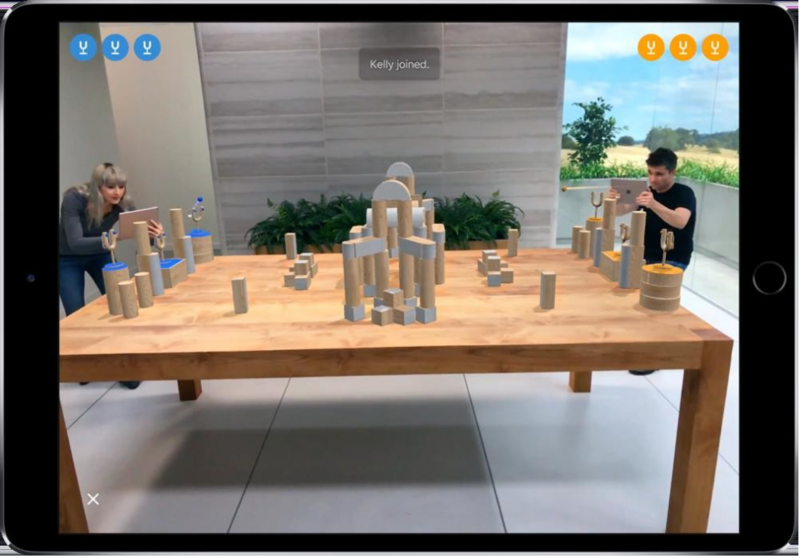 Apple’s investment in AR might be a good move in order to stay relevant in a time when Chromebooks and G-Suite are extremely popular due to their pricing. Apple’s AR future is much more elegant: buy iPad and deploy AR apps. One of the best features is the Persistent AR feature that was mentioned in 2.0. It lets you leave the items where they are and pick up later. It’s like “pausing” a video game. This feature opens up a lot of possibilities. There are trades that aren’t taught in a lot of high schools today due to cost: woodworking, metals, car mechanic/repair class, electrical, etc.